Back injuries happen in Hollywood and Florida nursing homes for a number of reasons, including physical abuse, slip and fall accidents, bed rail incidents, and other causes. 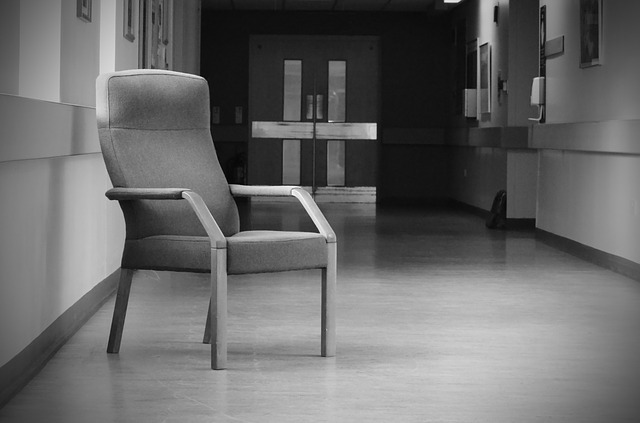 If a loved one in a nursing home has sustained a back injury, it’s important to ask questions. Unfortunately, these types of injuries can be debilitating and painful. They can result in loss of quality of life and serious complications. For seniors, back injuries can be especially troubling. It can take longer for an elderly person to recover from a back injury, especially if they have an underlying condition. In addition, a back injury can lead to pneumonia and other serious concerns and complications. Someone who already has reduced mobility is even more susceptible to bed sores and other complications if their health is further compromised with a back injury. In a heart bypass, surgeons are able to bypass blocked arteries so that patients with heart conditions can continue to enjoy a good quality of life. Now, researchers have found that by using a similar process they are able to help spinal cord injury patients in Miami and other cities. Researchers at Battelle have found that by using electronic neural bypass, they can help spinal cord injury patients reconnect the muscles and the brain directly, allowing patients to regain mobility. So far, researchers have five potential participants in the clinical study, with one patient already moving his hand after the procedure. According to researchers, the process allows surgeons to bypass injured areas, creating a connection between the brain and the muscles. To complete the procedure, the patient needs brain surgery and needs a port screwed into the skull. A microchip is then connected to the port to complete the procedure. Researchers are very excited about the initial success of the technology, which has allowed one quadriplegic to move his hand. The man had been paralyzed for four years following a swimming accident. 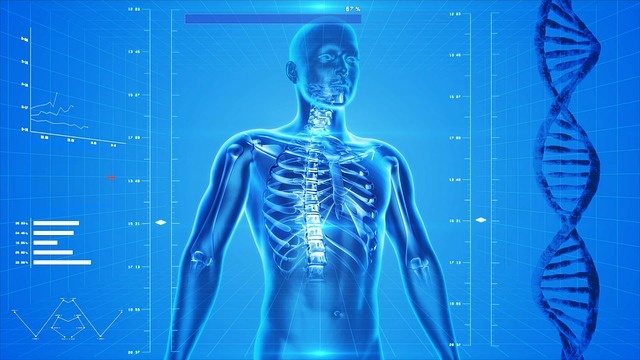 If the clinical trials continue to go well, it is possible that spinal cord injury patients who have been injured in car accidents in Miami and other incidents will eventually be able to use the technology to regain mobility and even walk again. For people who have injured their spinal cord in workplace accidents in Miami or in any incident, the new technology is exciting for a number of reasons. Unlike other treatments, it can be applied years after the initial injury, which means that even if it takes some time for the technology to be available some spinal cord injury patients injured today could potentially take advantage of the procedure. Unlike other treatments, the technology also gets to the root of the problem rather than trying to help patients regain some mobility through physical therapy. There is also the undeniably futuristic “cool” factor to the technology. Patients who have the microchip and port can essentially move previously paralyzed limbs just by thinking about it, much as they could before they were injured. The microchip technology, known as Neurobridge, has been in development for ten years, and essentially works by interpreting brain commands. The chip is about 0.15 inches and the first patient who used the technology responded well to the surgery needed for the chip. He was able to make a fist by concentrating on images of a fist closing, and noted that the process was different than moving his hand before the surgery. Are Multi-Family Group Treatment and Gene Therapy New Options for Spinal Cord Injury Patients in Homestead and Other Communities? In the United States, about 12,000 people each year suffer serious spinal cord injuries. In Florida and in Homestead, slip and fall accidents, sports injuries, violence, and traffic collisions tend to cause the most spinal cord injuries, although these injuries can result from other causes as well. Young men tend to have the highest rates of this type of injury. For spinal cord injury patients in Homestead and Florida, the road to recovery is often challenging, painful, and expensive. Patients with this type of injury often need rehabilitation, pain management solutions, surgery, and other treatment. Traditionally, patients with some kinds of spinal cord trauma have not been able to recover full mobility but each year new research has uncovered exciting new options for patients. In addition to helping patients recover mobility, some research has been focused on improving quality of life for spinal injury patients. A new upcoming research study by St. Luke’s Rehabilitation Institute and Washington State University Spokane will examine whether multi-family group treatment would help improve quality of life for patients who have sustained spinal cord trauma. Multi-family group treatment is often used to treat schizophrenia and other conditions. However, researchers were curious whether the treatment option would also help with the emotional trauma faced by spinal cord injury patients and their caregivers and families. As part of the study, 32 patients and their caregivers will be either given general information about spinal cord injury support or will be given multi-family group treatment, which includes coping strategies, support, and customized education. Both groups will be studied for six months to see how quality of life, engagement in treatment, relationships, and physical and emotional health fare after the treatments. Researchers believe that multi-family group treatment will help spinal trauma patients, especially those patients with a more recent injury. Another study, from Imperial College London, has found that genetic therapy can help patients by repairing the spinal cord. Researchers are optimistic that gene therapy could eventually be used to repair nerve damage for both brain injury patients and spinal cord injury patients. The study isolated a protein that was important for the regrowth of nerves. The protein, P300/CBP-associated factor (PCAF), improved the number of nerve fibers that regrew in mice with spinal cord trauma when it was injected into the mice. Although these treatment options may only be available in the future, the current options for patients with spinal related personal injury in Homestead or Florida tends to focus on rehabilitation and on dealing with symptoms. In these cases, it is important to secure fair compensation and financial resources in order to increase the likelihood that a patient will be able to afford quality medical care. Unfortunately, spinal cord injury treatment in Florida tends to be very expensive. In many cases, victims who have been injured in a traffic accident in Homestead or another city or have sustained a spinal cord injury in another way seek the help of a personal injury attorney in their community in order to launch a legal claim or in order to seek compensation so that they can afford quality medical care. Patients with spinal cord injuries in Homestead and across Florida have more hope now than ever before, thanks to new research. Typically, patients who have suffered a spinal cord injury in a traffic collision in Homestead or through another incident are first treated by emergency personnel. Emergency responders first check to see whether a patient’s heart is beating and whether the patient is breathing. In some spinal cord injury cases, patients need a ventilator or a breathing tube as well as other life-saving treatment because their heart and lungs are affected by the injury. The second part of treatment for a spinal cord injury is to prevent the patient from moving. Emergency responders at the site of a trucking accident in Homestead or other accident scene will immobilize a spinal cord injury patient by using a backboard and cervical collar before taking the patient to hospital. The immobilization ensures that further movement doesn’t cause additional injury. At a hospital, doctors will typically work to determine whether a spinal cord injury has occurred. If it has, steroids are usually given within eight hours of the injury in order to decrease swelling and inflammation in order to reduce the amount of damage. In addition, the patient may be immobilized with a halo device, traction, or through some other means in order to provide some stability to the spine. Many spinal cord injury patients also need surgery for their injuries. Surgery can help remove any pressure on the spinal cord caused by broken vertebrae and can help provide more stability to the spine by adding rods, plates, or metal screws to the affected areas. After emergency treatment and surgery, spinal cord injury patients usually face a long period of rehabilitation and therapy in order to recapture mobility or in order to deal with reduced mobility. Patients may also be given drug therapy or other forms of treatment to deal with chronic pain and other issues. In addition, patients need to deal with the many complications that can arise with spinal cord injury. These complications include infections, pressure sores, blood clots, and other risks. Patients need to be monitored for these issues and the complications may need to be treated as they arise. Fortunately, spinal cord injury is the focus of many types of research and it is possible that some day there may be even more advanced options for treating these injuries. For example, a recent study in the journal Brain revealed that one treatment that involved placing electrodes near the spine helped some patients with spinal cord injury recover some control over their limbs – even two years after their initial injury. The therapy involves administering currents of electric energy to an area of the spine just below the site of the injury while the patient works on practicing movement. The initial results are very promising, although researchers say that more testing is needed. In addition to this study, a number of studies have suggested that stem cells could be used to successfully help some personal injury patients in Homestead and other communities recover mobility and motor function. •The rate of spinal cord injuries is on the rise, according to new research from Johns Hopkins. •We may not be aware of what actually causes spinal cord injuries. Many people assume that motorcycle accidents in Homestead and other traffic accidents are the leading cause and while that used to be true, falls affecting the elderly now lead to most spinal cord injuries. Spinal cord injuries are also caused by workplace injuries, violence, sports injuries, and child injuries in Homestead and other communities. •The costs of spinal cord injuries are on the rise. The costs of medical care are growing rapidly and unfortunately some patients who have suffered a catastrophic injury find themselves involved in an insurance dispute in Homestead or their community because insurance companies are very conservative when it comes to paying out large claims. Unexpected medical expenses are the leading cause of personal bankruptcy in the U.S., in part because of the high cost of treatment. 1) Lower your risk of a car accident. Drive a safe car and have it maintained regularly to ensure that it remains safe. If you have had near-misses or fender benders, consider getting additional training with a professional driving instructor to boost your knowledge of defensive driving techniques that could save your life. While falls have overtaken car accidents as the leading cause of spinal cord injury, traffic collisions in Homestead and other cities still lead to devastating injuries each year – including back injuries. 2) Protect elderly loved ones from falls. According to the latest Johns Hopkins research, falls among the elderly are now the leading cause of spinal cord injuries. Unfortunately, for the elderly, these types of injuries can prove fatal. If you have an elderly family member, ensure that their home is safe, with no-slip treads on any hard surface floors and garb bars in the bathroom. If your loved one is in a nursing home or assisted living facility, ask about the policies in place to prevent falls. 3) Reduce your own risk of falls. Even if you are a younger adult, slip and fall accidents can still occur. Work to keep your home and workplace free of debris, obstructions, and spills. Take good care of your health and use reasonable precaution to stay safe. 4) Take proper safety precautions when at work or play. If you work in construction or any industry where falls are a concern, be sure to use harnesses or the other safety devices to stay safe. When engaging in any sports, be sure to wear a helmet and other safety gear needed to prevent sports injuries while on your Homestead field. Keep in mind that swimming accidents are also a common cause of spinal cord and head injuries. Before diving into any body of water, make sure that the water is deep enough. Are Sleep Apnea and Spinal Cord Injuries Linked? Much has been written about sleep apnea and spinal cord injury in Homestead and other cities, usually in conjunction with car accidents. But the way these topics are written about is this: sleep apnea contributes to car collisions in Homestead and other communities, and in turn these crashes cause injuries such as spinal cord injuries. A new study, however, suggests that the link between sleep apnea and spinal cord injury can also be a little different: spinal cord injury can lead to sleep apnea, scientists have found. Researchers examined 26 patients with upper mid-back and neck spinal cord injuries and found that 77% of them had problems with breathing during sleep. 92% of the patients had problems or challenges with sleeping. The study, published in the Journal of Clinical Sleep Medicine, concluded that those who have spinal cord injuries should be checked for sleep apnea and possibly other sleep disorders. Researchers found that spinal cord injury patients suffered from central and obstructive sleep apnea. Central sleep apnea occurs when the brain does not send the right sleep-time signals to those muscles responsible for breathing, leading to breathing problems during sleep. In obstructive sleep apnea, as the name suggests, the airway is blocked or collapsed during sleep, causing snoring and breathing problems. Both conditions result in poor quality sleep, which can cause extreme fatigue, difficulties in concentration, and other health problems. The study concluded that patients with neck injuries were more likely to have central sleep apnea when compared with patients who had upper mid-back injuries. According to the study’s lead author Dr. Abdulghani Sankari of John D. Dingell VA Medical Center, the fact that so many spinal cord injury patients showed evidence of sleep disorders is significant, as it seems that in many cases these disorders are missed. Misdiagnosis of sleep disorders can lead to serious complications for spinal cord injury patients in Homestead and other cities. According to study co-author Dr. M. Safwan Badr of the American Academy of Sleep Medicine, sleep disorders can pose a big risk for spinal cord injury patients, possibly putting them at greater risk of heart problems and even cardiovascular death. Lack of adequate sleep has been linked to depression, higher blood pressure, cardiac health problems, an increased risk of car accidents, and other serious health concerns. For a patient who has already suffered from a serious spinal cord injury, additional complications and risks can put them at an even increased risk of health problems and fatality, which is why Dr. Badr’s and Dr. Dingell’s suggestion of thorough evaluation for sleep disorders is a good one. Patients who have suffered a spinal cord injury in Miami or another city often face a long, expensive, and difficult road to recovery. They may need rehabilitation to regain some motor function and may require home assistance or surgery in order to regain some mobility. In many cases, patients who have sustained this type of injury in a car accident in Miami or through some other means face a lifetime of reduced ability. There is now an exciting new study that could offer hope to these patients. The study, published in the journal, Neurology, examined patients with incomplete spinal cord injuries. About two-thirds of serious spinal cord injuries fall into this category, where some nerve endings remain attached but patients are unable to regain full mobility or function. Patients who have this type of injury may regain some mobility, but may be frustrated by slow progress and by lack of endurance or stability as they recover. They may have to rely on canes, wheelchairs, or other devices. Researchers found that patients with incomplete spinal cord injuries who were treating with low levels of oxygen through breathing treatments were able to walk faster and further when compared with patients given placebos. Patients receiving the treatment could increase how long they could walk in six minutes by approximately 328 feet. They could also walk about four seconds faster and 33 feet farther than the control group. According to the researchers, the oxygen treatment releases a brain chemical known as serotonin, which helps the body transmit messages between nerve cells. 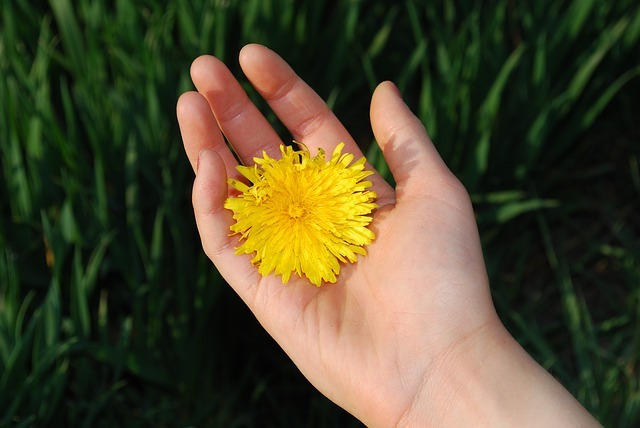 Oxygen may also release substances that help improve how well nerves function and heal. These changes may be key as to why patients receiving the treatment were able to walk further and faster. Researchers looked at nineteen patients with spinal cord injuries who had already recovered enough to walk at least one step unaided. However, researchers noted that more research needs to be done. For example, research needs to be done to determine how long the effects of the treatment last and how often the treatment can be safely administered for optimum results. Finally, the study did not consider whether the treatment could help patients with more severe spinal cord injuries – something that the researchers hope to see explored in the future. While research like this is promising for patients, new treatments take some time to develop and newer treatments are also very expensive. 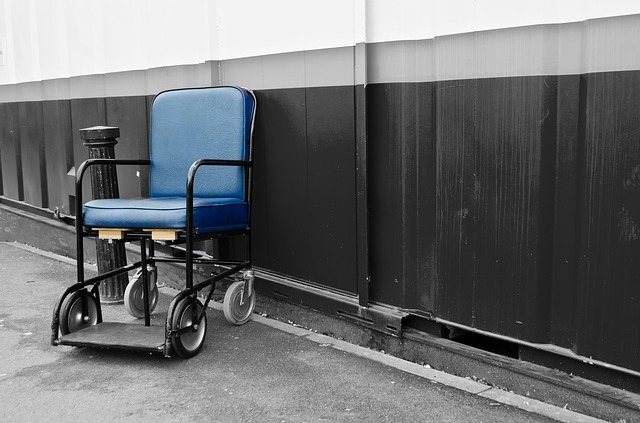 Many patients find that the first year of a serious spinal cord injury can cost tens of thousands of dollars or even more than a hundred thousand dollars. In addition, many patients need to replace lost income, find money for at home-care and handle additional costs related to their injury. As a result, many patients turn to personal injury attorneys in Miami or their communities in order to seek compensation so that they can pay for care. In addition to research, many advocacy groups also say that more needs to be done to make quality care accessible for back injury and spinal cord injury patients. According to the Centers for Disease Control, 12 000 to 20 000 people across the country suffer from spinal cord injuries due to falls and traffic accidents each year. In many communities, including South Miami, car accidents are a leading cause of spinal cord injuries. For patients, this type of injury can result in a lifetime of paralysis or limited motion. In many cases, patients cannot return to their jobs or regular lives and often incur very high medical costs due to their injury. Costs for a patient can range from hundreds of thousands of dollars to millions of dollars over a lifetime. New research may offer some hope to those who have suffered a spinal cord injury in South Miami or another Florida community. Studies currently taking place at the Robert Wood Johnson Medical School suggest that physical therapy and stem cell therapy combined may have a beneficial effect in helping patients regain neurological function after a spinal cord injury. Researchers at the Robert Wood Johnson Medical School evaluated 70 patients who had spinal cord injuries – including thoracic and cervical spinal cord injuries. The patients were divided into two groups: one group received physical therapy while the other received a combination of physical therapy and stem cell treatment from their own bone marrow. After 18 months, about half of the group receiving physical therapy and stem cell treatments showed signs of improvement. Some of the patients were able to walk and some were able to repair bowel and bladder function to the point that they no longer needed catheters. Another study, based in Sweden, suggests that hand surgery can improve quality of life for patients with severe cervical spinal cord injuries. Researchers from the Sahlgrenska Academy at the University of Gothenburg have been reviewing patient outcomes from Sahlgrenska University, where hand surgery has been offered to patients with spinal cord injuries since the 1970s. The surgery improves gripping ability and thus quality of life for spinal cord injury patients, but only 40% of patients in Sweden who could get this surgery get the operation. Only one out of ten cervical spine injury patients in the US get this type of surgery, even though it can allow spinal cord injury patients to live more independently. Part of the issue may be that few hospitals in the world offer the surgery as often as the Sahlgrenska University. In addition, many patients and even doctors may not realize the benefits of the surgery. Patients who have sustained a serious spinal cord injury need to consider all their options when it comes to healing. This means consulting with multiple doctors, in many cases, and staying aware of the research and studies which may suggest new treatment options. In addition to taking care of the physical healing, however, it is important that patients protect their legal rights and their finances. Getting hand surgery or a new type of treatment can be very expensive. If a spinal cord injury was caused by someone’s recklessness or carelessness, however, you do have legal options. You may be able to pursue compensation that can help you pay for quality medical care that can help you heal more fully. To get more details, contact a personal injury attorney in South Miami or your community. Each year, Davie car accidents, falls, and other accidents lead to severe spinal cord injuries. Severe spinal cord injuries are among the most devastating injuries that victims can sustain in Davie truck accidents, slip and falls, and other accidents. Some Davie spinal cord injury patients are never able to walk again or resume everyday activities. Some face a lifetime of reduced mobility and pain. Research in recent years, however, has been providing some hope for these injury patients. A new study is especially promising for these patients. Researchers at VA San Diego Healthcare and the University of California, San Diego have successfully used a stem cell get to help heal axonal growth in rats with severe spinal cord injuries. The gel was applied to the injured part of the spinal cord in rats. In rats with a completely severed spinal cord, axons regenerated from the injured area at a rate 200-fold higher than anything previously documented. The axons regenerated ten times longer than in any other documented study. The treatment process took six weeks. According to researchers, the gel works because early stage neurons can live on and extend axons. This allows them to create new neuronal relays in an injured central nervous system. Based on this understanding, researchers created a gel which had neural stem cells within a matrix of protein that is commonly used in neuron procedures. According to Mark Tuszynski, professor in the UC San Diego Department of Neurosciences, who headed the research, the rats who were given the gel not only showed significant axon regeneration, but the rats also improved functionally. Researchers also found that cells above the injured area regenerated after use of the gel, creating new relay circuits. In practical terms, with six weeks of treatment the rats showed significant improvement. Without treatment, rats with severed spinal cords were ranked 1.5 on a 21-point walking scale. After the stem cell gel therapy, rats ranked 7 on the same scale. In most cases, the rats were able to use all joints in legs affected by the spinal cord injury. In the future, this research may help Davie spinal cord injury patients recover more mobility following an injury. While new advances are made in research all the time, however, current patients may still face long waits in rehabilitation and current treatments in order to start to regain mobility. Currently, many patients find that getting the best medical treatment often results from getting knowledgeable about spinal cord injury treatments and getting resources in order to secure that treatment. For this reason, many patients who have been injured due to a traffic accident seek the help of a Davie personal injury attorney in order to get the fairest compensation possible. Spinal cord injuries are among the most expensive injuries in terms of care and treatment, so speaking with an experienced Davie attorney is often important in order to ascertain all options. 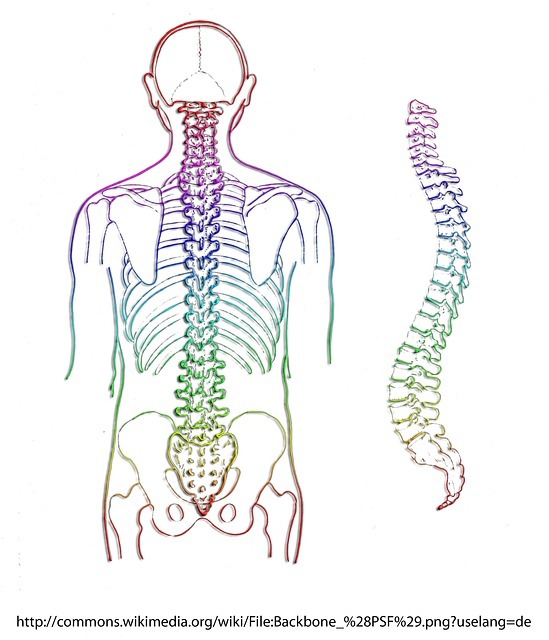 A spinal cord injury is any injury to the spinal cord that causes a loss of function. A loss of function can include a loss of feeling or mobility issues. Most Miami spinal cord injuries are caused by trauma caused by violence, Miami car accidents, Miami slip and fall accidents, and other injuries. However, diseases such as polio can also cause spinal injuries. Spinal cord injuries can range widely, from a severed spinal cord that leaves someone almost entirely paralyzed to more mild injuries where there is a loss of feeling or some limited mobility. 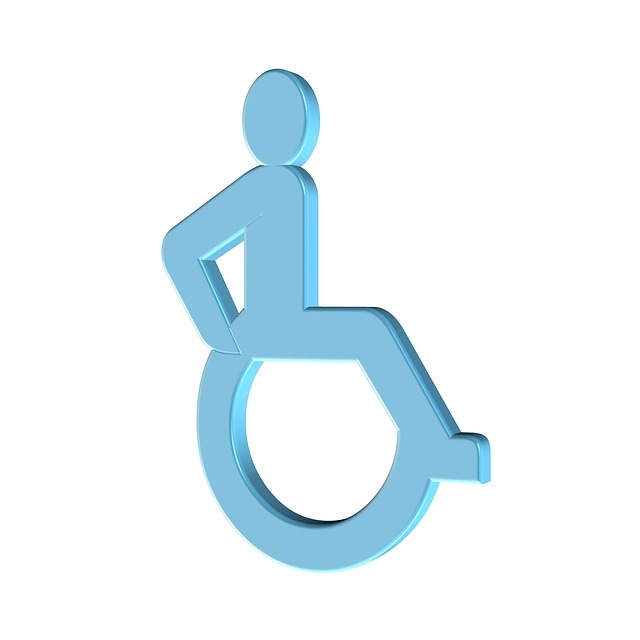 Miami spinal cord injuries can in fact be separated into two types of injuries: incomplete injury and complete injury. In a complete spinal cord injury, the patient has no function and no feeling below the level of the injury. In these cases, all parts of the body under the injury site are affected. In an incomplete injury, some functioning exists below the injury. This means that the patient may have partial mobility and some sensation below the injury site. As more research is done into spinal cord injuries and as better after care is available for emergency spinal cord injuries, incomplete injuries are becoming more common. In part, this is because in many cases emergency rooms are able to stabilize a patient and offer immediate help that can prevent further injury when a patient is first admitted – something that was not available years ago. The site where the injury occurs can also affect how patients recover after a Miami spinal cord injury. For example, patients with severe traumatic neck injuries may have quadriplegia while injuries above the C-4 cause so much damage that the patient may require a ventilator permanently. Those with C-5 injuries may lose control of their hands and wrists while those who have T-1 and C-7 injuries may have problems with finger and hand mobility. 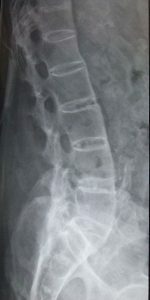 Patients with higher T injuries (T-1 through T-8) may have abdominal mobility affected. Patients with severe Miami spinal cord injuries lose more than feeling and motor control. Many patients also suffer a wide range of other problems. For example, some individuals may experience sexual dysfunction or incontinence. Many patients also suffer from chronic pain, low blood pressure, no sweating below the injury site, and other problems. Some patients may lose motor control to the point where basic functions such as heart beat and breathing need to be aided by pacemakers, ventilators, and other medical devices. These additional issues affect not only a patient’s quality of life but also the total costs of a patient’s injuries. Across the US, 10 000 new patients sustain spinal cord injuries each year and there are currently about 450 000 people living with severe spinal cord injuries across the country. Over a third (36%) of spinal cord injuries occur due to car crashes and traffic accidents while 21.2% occur due to falls and 28.9% occur due to violence (such as gunshot wounds).